This banana cake is insanely moist, flavorful and delicious! My mouth is watering thinking about this banana cake again. The first time I tasted it, I actually gasped it was so good! I actually only had to test this recipe twice before I was super happy with the recipe. Top this amazing banana cake with my cream cheese frosting and I swear you will be eating slices all week like like I was. I stored the leftover cake in the fridge wrapped in plastic wrap to keep it from drying out. I would cut a slice and let it warm for about 30 minutes before eating and omg, so good! It’s not often you find a cake recipe that is just as good the next day as it was fresh. 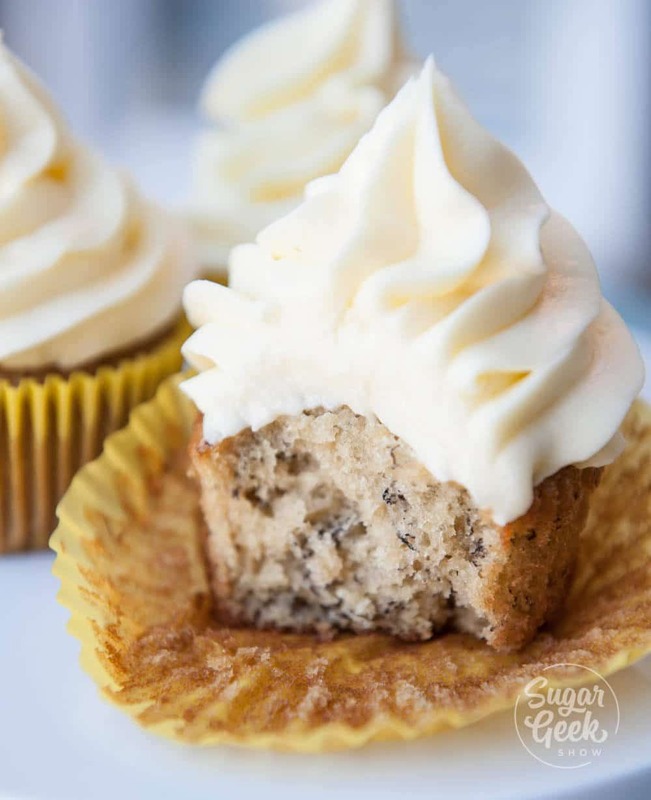 Can you make this banana cake recipe into cupcakes? 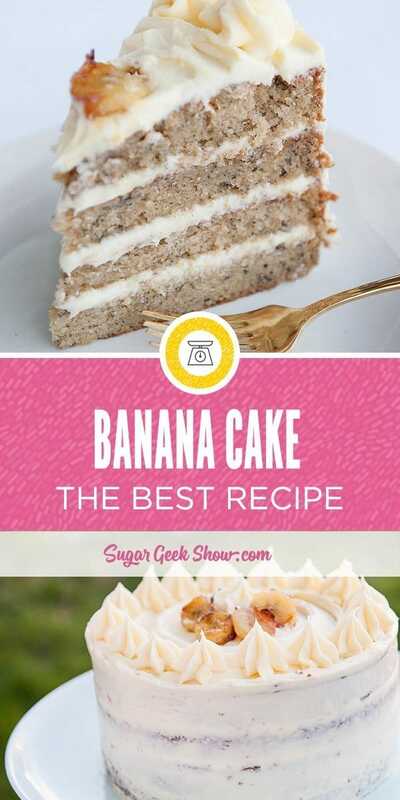 This banana cake can also be made into cupcakes very easily. The batter is pretty loose so I just poured it into my grease-proof cupcake liners to about 3/4 full. They baked up in about 20 minutes and where delicious! I don’t know about you but we always have bananas in our house. Between my pregnancy nausea and my four-year-old, quick snacks are a must. But we never seem to eat ALL of the bananas. There is always one or two left in the bunch that gets too ripe. Rather than toss them, I let them continue to ripen. Until they almost start to turn black. 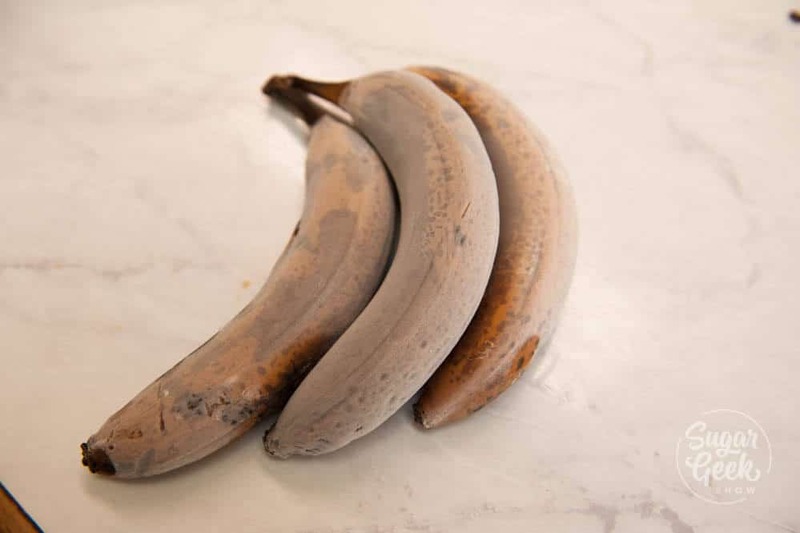 Brown spots on bananas equal a sweeter flavor. Do not be tempted to use new bananas or you’ll be sorely disappointed in the flavor. Then I put them in the freezer. Yea you heard me, the freezer. Freezing super ripe bananas actually brings out the sugar in the banana and makes them more flavorful. Plus it’s a great way to store those extra ripe bananas until you need them. 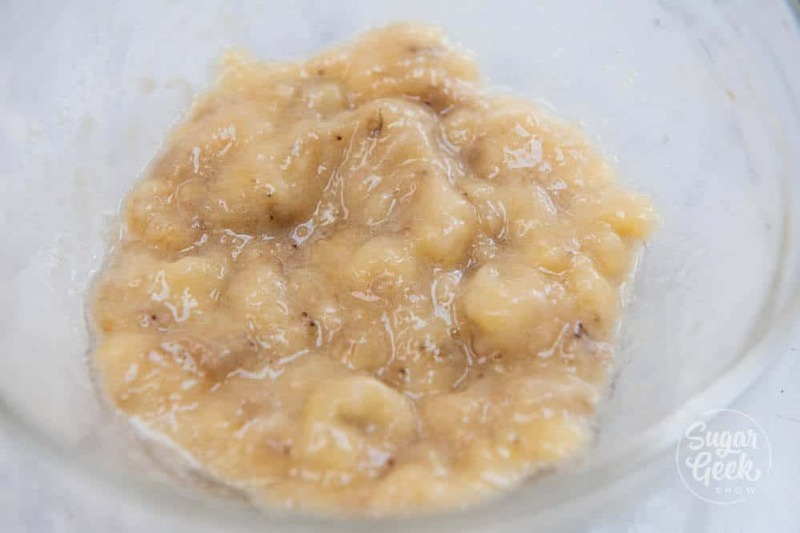 This recipe takes three bananas but if your bananas are really small, you might need four. Thaw your bananas in a bowl before you need them. They will drain a sugary liquid, don’t worry, this is normal. I just drained off any extra liquid and tossed it. Then just mash it all together with a fork or in your blender to get it smooth. I often talk about ingredients needing to be at the same temperature for successfully baking from scratch. 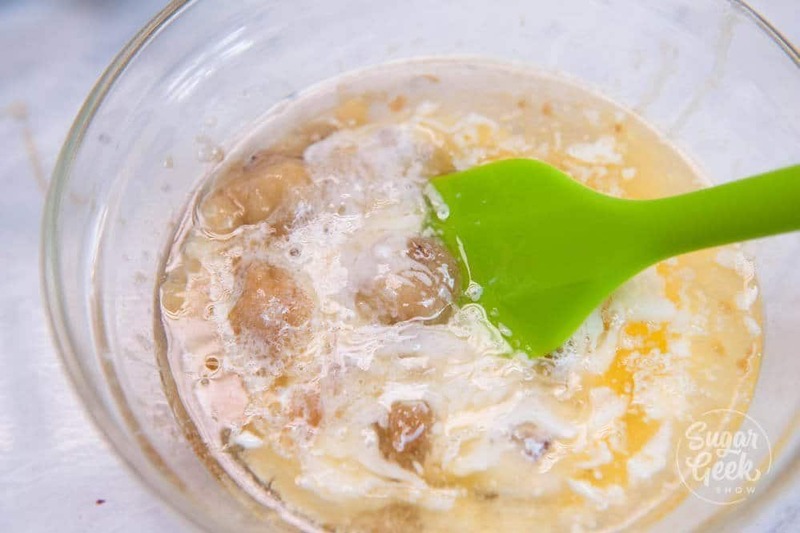 In this recipe you definitely want to make sure the bananas and eggs are room temp, the buttermilk is slightly warm and the butter is softened. You can warm eggs by placing them in a bowl of warm water for 5 minutes before cracking. Buttermilk and butter can be warmed in the microwave. 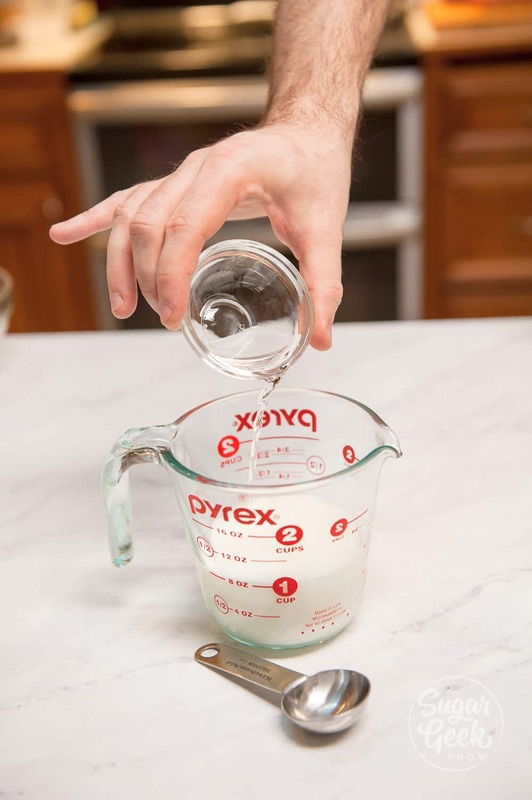 If you don’t have buttermilk you can replace the buttermilk with regular buttermilk plus 1 tsp of white vinegar. Let it sit for about 10 minutes then it will be ready to use. 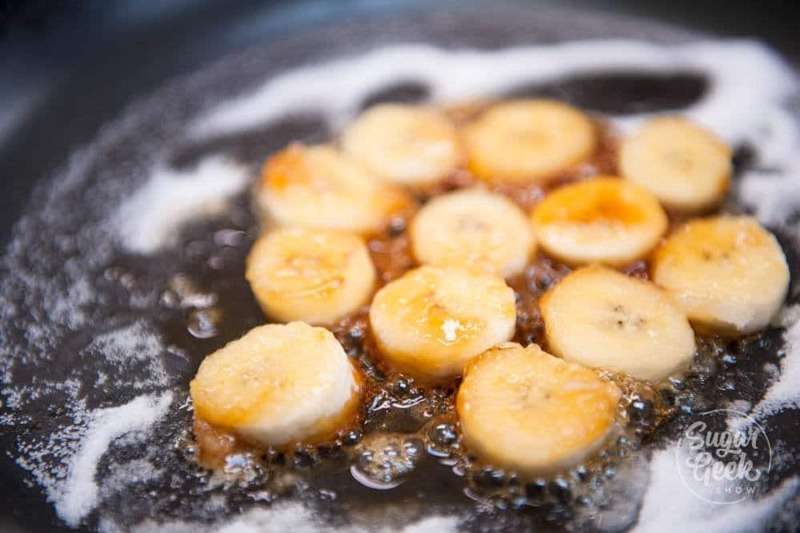 This banana cake recipe combines white sugar and brown sugar. 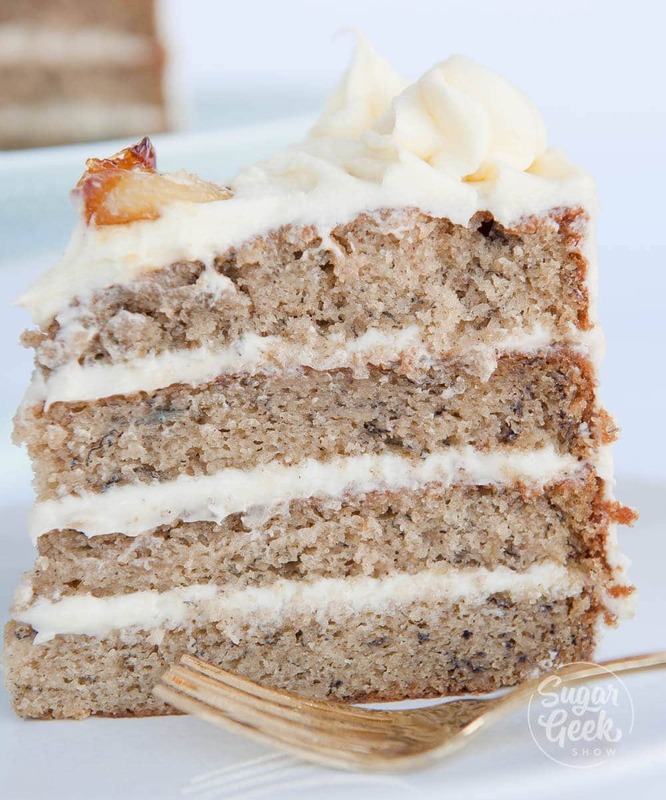 The brown sugar adds some amazing flavor to the banana cake! Just make sure you sift the brown sugar because it tends to get some hard lumps in it and no one likes lumps in their cake. The first time I made this cake I didn’t add any spices and it definitely lacked that punch I was looking for. The second time around I added in some cinnamon and it definitely adds some much-needed flavor. Preheat your oven to 35oºF and prepare two 8″x2″ cake pans with cake goop or another pan release. 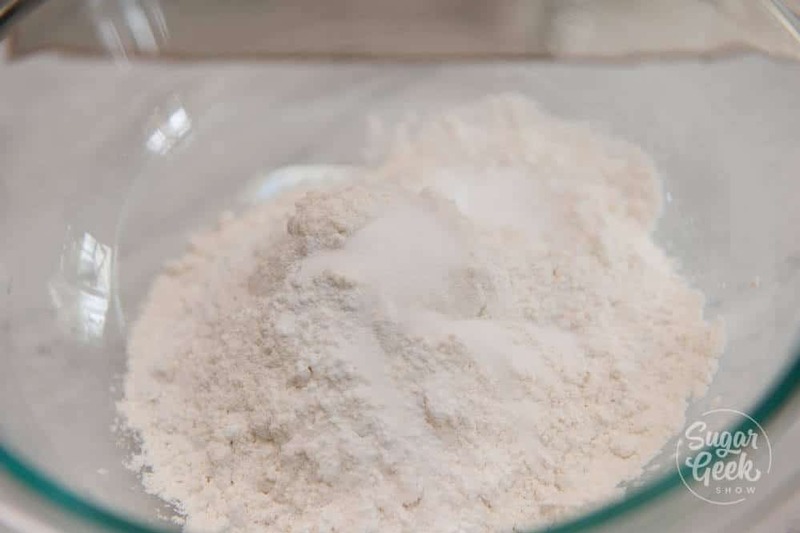 Combine your flour, baking soda, baking powder, cinnamon and salt and set aside. 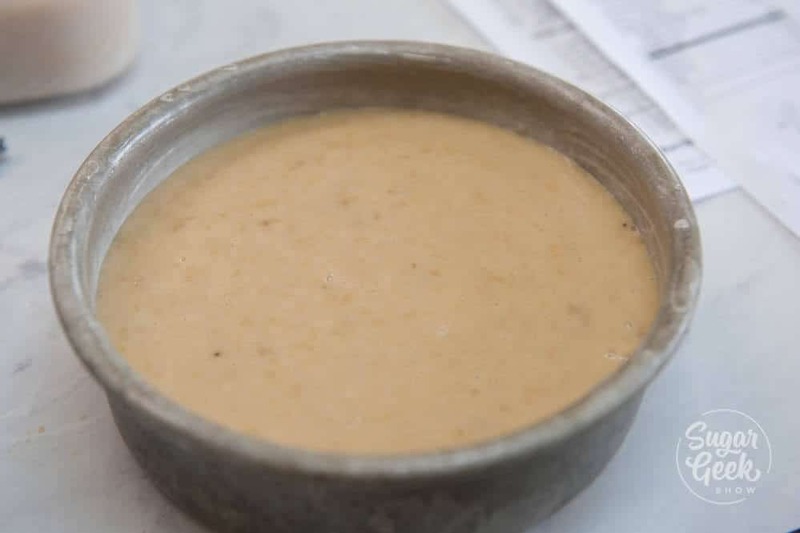 Combine your banana puree, oil, vanilla and buttermilk in a separate bowl and whisk to combine. Set aside. In the bowl of a stand mixer, add your softened butter (not melted like mine was but if it is, it will be ok, mine was). Cream until smooth then sprinkle in your brown and white sugar. Mix on medium until lightened and fluffy. Add in your eggs one at a time, letting them combine before adding the next. Add in 1/3 of your dry ingredients while mixing on low. Then 1/3 of your liquid. Continue alternating dry/liquid two more times until just combined. Do not over-mix. Pour the batter into your prepared cake pans and bake 35-40 minutes until the center of the cake is baked and a toothpick comes out clean. 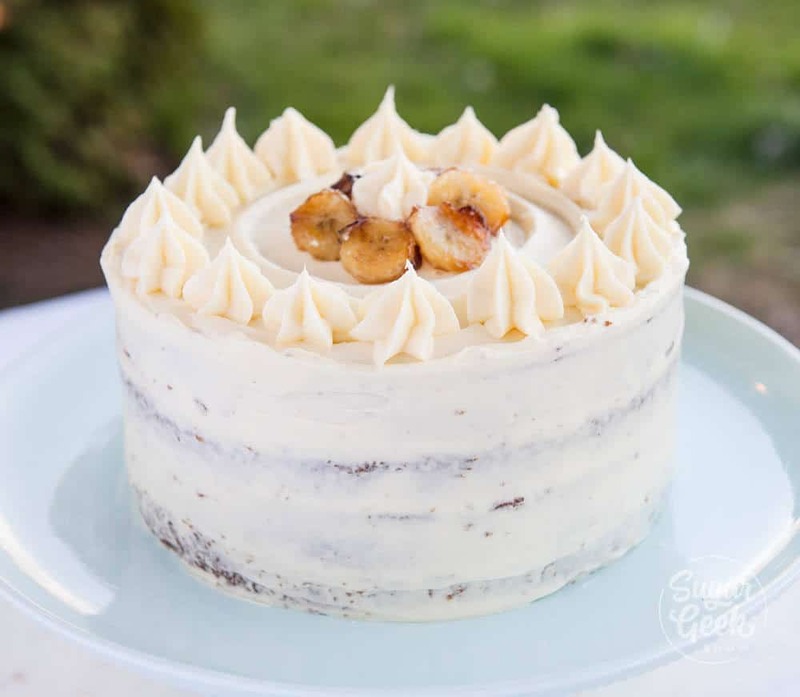 This cream cheese frosting is soooo delicious with this banana cake. The frosting is firm enough to frost the cake and do some basic piping but still super soft and creamy. 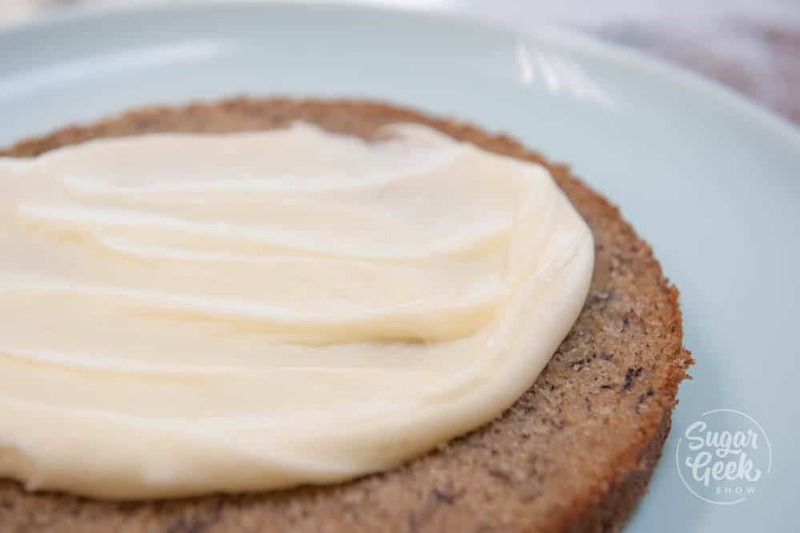 If you prefer a more stable cream cheese frosting you can add extra powdered sugar or try my crusting cream cheese frosting recipe. Cream your softened butter in the bowl of the stand mixer with the paddle attachment until smooth. Then add in your softened cream cheese and blend together until combined. Add in your powdered sugar one cup at a time. Lastly, add in the extract and salt. Don’t over-mix or your frosting could separate. Don’t forget to scrape the bottom of the bowl to make sure everything is combined well. 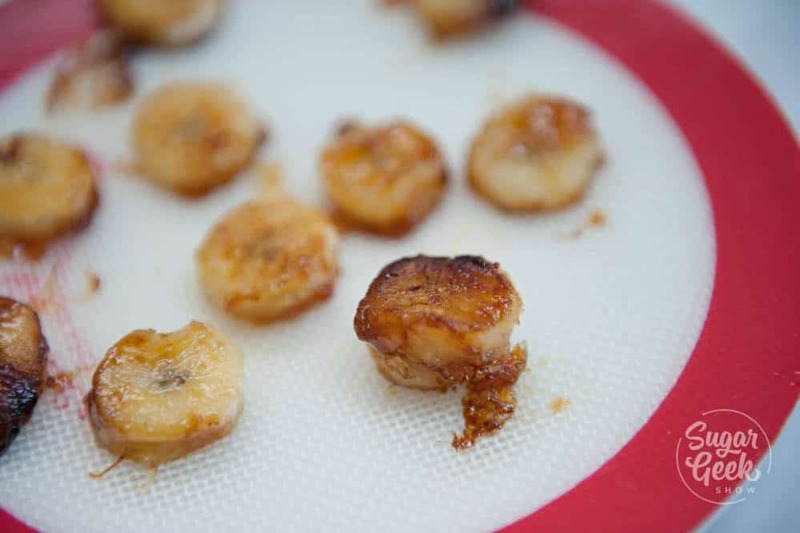 Ok this part is TOTALLY unnecessary but I have always wanted to try to make caramelized bananas lol. I sliced up a fresh banana about 1/4″ thick and lightly coated them in white sugar. I heated my pan to med/high and sauteed my bananas until they started to turn brown. Then gave them a flip. They were very sticky and hard to flip, probably because I had no idea what I was doing. I let the bananas cool on a silicone mat. The caramelized bananas tasted great on the cake though! Once your cakes are baked, let them cool in the pan for 10 minutes then flip them out onto the cooling rack to cool the rest of the way. I keep mine covered with a tea towel to keep them from drying out. 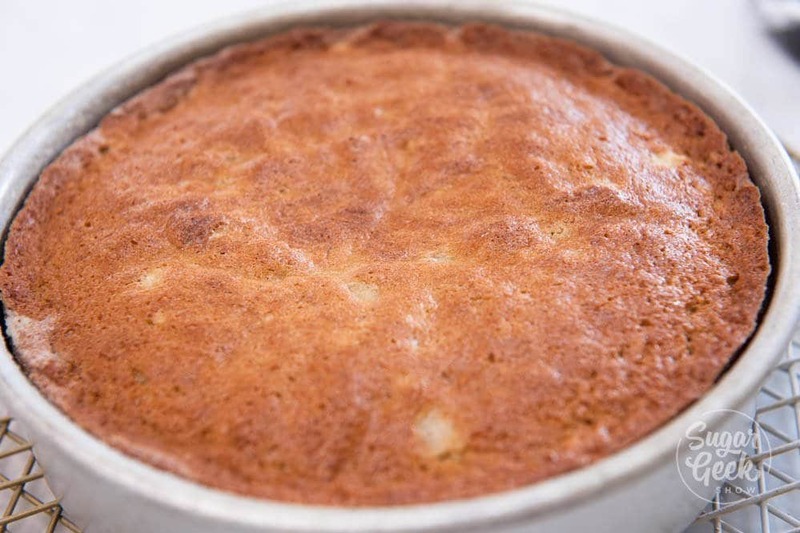 This banana cake is actually really easy to hand and pick up but feels soft. Don’t be worried. I like a good amount of cream cheese frosting on my cake so I decided to tort my cakes (slice in half lengthwise). Slather on a good portion of cream cheese frosting between each layer. I decided to keep the outside of my banana cake frosted very roughly. I used a star tip to pipe on some simple dollops on top of the cake and placed my sad caramelized bananas in the middle. Sure does look pretty!! That first bite was OMG good. I couldn’t believe how tasty it was! So super moist, tons of banana flavor and that cream cheese frosting just brought it all together. Watch my full video on making the most amazing banana cake ever! 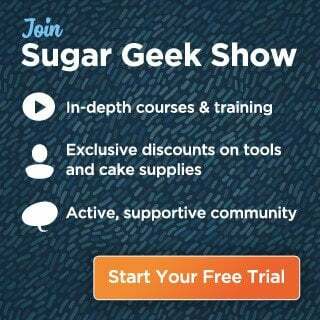 The most amazing banana cake recipe with tangy cream cheese frosting. The secret is frozen bananas! Makes two 8"x2" cake rounds or three 6"x2" rounds. Preheat oven to 350ºF and prepare two 8" cake pans with cake goop or other cake release. Combine together flour, baking soda, baking powder, cinnamon and salt and set aside. Combine together buttermilk, banana, oil and vanilla. Whisk and set aside. 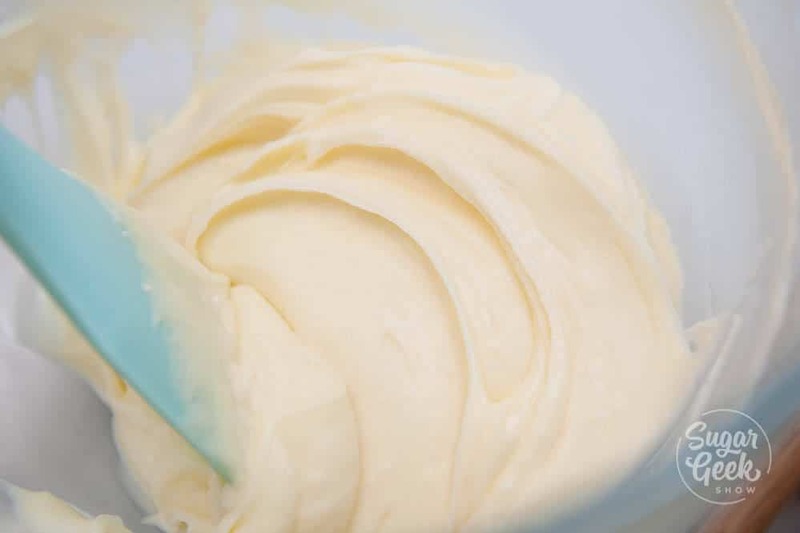 Place softened butter in the bowl of a stand mixer with the paddle attachment and cream until smooth. Sprinkle in brown and white sugar and whip on medium until light and fluffy. Add in your eggs one at a time, waiting for them to be combined before adding the next. Add in 1/3 of your flour mixture and then 1/3 of your liquid. Alternate two more times and mix until just combined. Pour into your prepared cake pans and bake for 35-40 minutes until a toothpick comes out cleanly. Let cool fully before frosting. Add your orange extract and salt. Combine until smooth and creamy. looks super yummy!! I can’t wait to try it. Can this be used under fondant? Question in all your recipes it says butter is it suppose to be normal butter or unsalted butter?